This is where you post your wonderful Floribunda Rose wallpapers. Floribunda Rose description is below for reference. Floribunda (Latin for "many-flowering") is a modern group of garden roses that was developed by crossing hybrid teas with polyantha roses. Floribunda roses produce bunches of flowers. Typical floribundas feature stiff shrubs, smaller and bushier than the average hybrid tea but less dense and sprawling than the average polyantha. 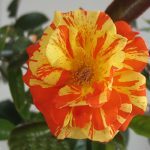 Floribundas are found in all hybrid tea colours and with the classic hybrid tea-shaped blossom, sometimes differing from hybrid teas only in their cluster-flowering habit. Today they are still used in large bedding schemes in public parks and similar spaces. Floribunda is a Summer blooming flower. Floribunda Rose Description is below for reference. Floribunda flowers only in this group in keeping with group description please. Please no Spam is allowed in this group and will result in banning from the group and report to Nexus. Thank you for your consideration of others and my Floribunda group rules. Welcome! Please consider joining today and help my group grow.